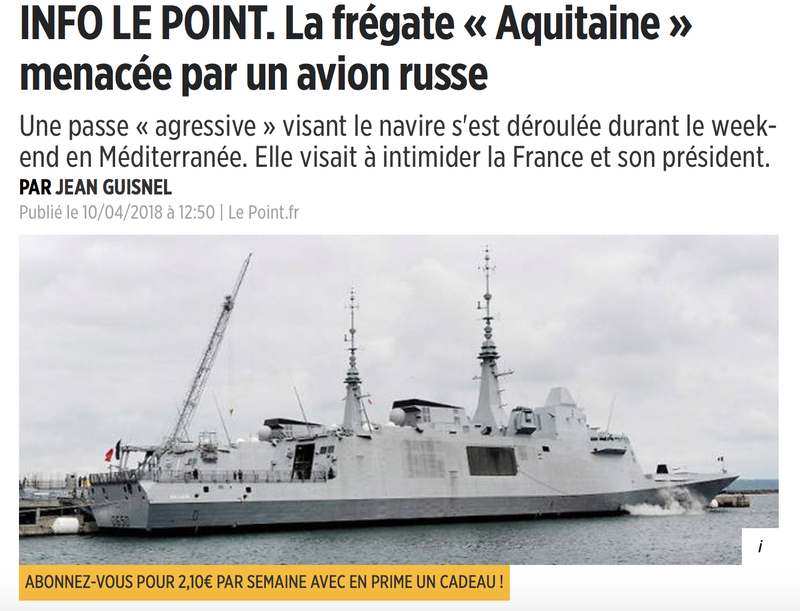 According to this report, this past December (2017), Russian military and intelligence services became alarmed when French President Emmanuel Macron made an unannounced visit to his countries former African colony nation of Algeria where he sought to establish a “new relationship”—but whose true purpose was to create new training bases for the Islamic terrorists operating there—and that this past week showed were preparing to be moved to the Levant War Zone under the protection of the French guided missile warship Aquitaine—that Russian air forces quickly targeted with warning flights—but to no avail as France positioned itself with the United States to begin unprovoked air strikes on Syria. Though Turkish National Defense Minister Nurettin Canikli has just warned the West that “if an attack occurs against the forces in Syria backed by Russia or there is an attack by the US-supported forces, Russia won’t be able to stay away, otherwise it will lose its influence”, and who further grimly stated that “just one spark may set the entire region on fire”, this report continues, the warmonger Americans are, nevertheless, are foregoing all common sanity with their preparing to directly target Russian military sites in Syria—and that President Trump has cancelled his planned trip to South America to oversee personally. 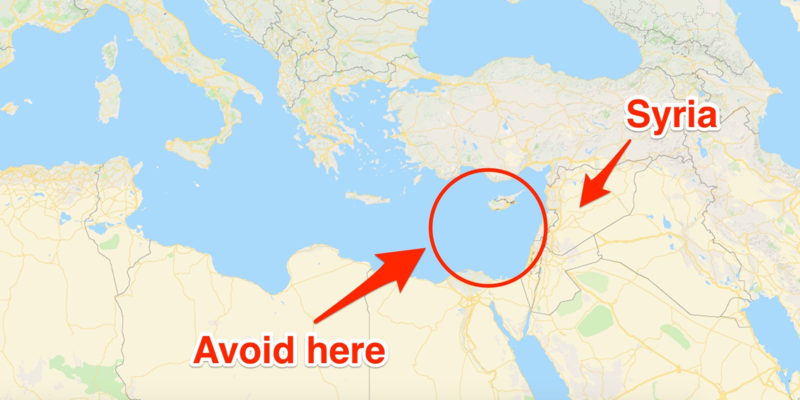 Due to the possible launch of air strikes into Syria with air-to-ground and / or cruise missiles within the next 72 hours, and the possibility of intermittent disruption of radio navigation equipment, due consideration needs to be taken when planning flight operations in the Eastern Mediterranean / Nicosia FIR area. As the Defense Ministry has already pointed out, the Russian military bases in Hmeymim and Tartus are under firm protection. I think that the United States understands this and will not allow it, because otherwise, Russia's response will be immediate, as the chief of the Russian General Staff has said. 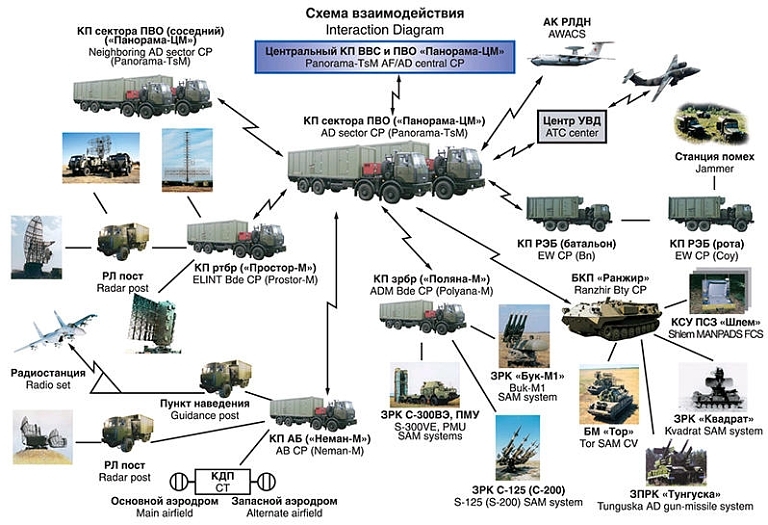 The Russian General Staff in detailing what the Americans and their allies have in store should they attack Syria, this report details, first states the expected US attack plan would be to carry out destructive missile saturation without entering into the air defense engagement area, in order to be able to open corridors by punching a hole in the aerial defense—but who warn that any unidentified targets flying in the direction of Syria will be destroyed upon entering into the air defense engagement area. Experience from wars of this kind, this report says, shows that if during a massive air strike 20% of the enemy aviation is destroyed with the first hit, it will stop any further military activity, as neither the US or its NATO allies have a kamikaze (suicide pilots) squadron within their aviation units—and who will be operating against a Russian air defense system whose crews are unlikely to have time to determine in a “straight line” the exact flight paths of missiles and then who the warheads belong to—with all the illusions of amateurs about the existence of “invisible” warplanes will facing a disappointing reality as Russian air defenses can see everything. 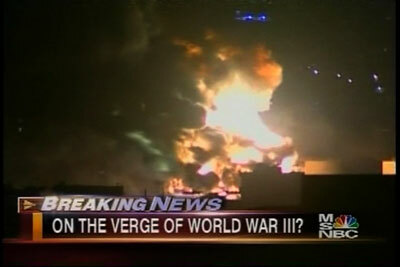 Lost in the West’s rush to start World War III, this report continues, is that it’s supposed to be about a supposed chemical attack in Syria that no evidence exists for, no patients found, or bodies discovered and that the United States vetoed a United Nations resolution calling for it to be investigated—and whose refusal to investigate has, also, now been joined by former British Chancellor George Osborne who is urging Prime Minister Theresa May to begin attack Syria without first seeking approval from the British Parliament, and who says that British lawmakers “can ask questions later”—with ex-Chancellor Osborne, of course, being supported by the British propaganda ministry BBC who just ordered their Foreign News Producer Riam Dalati to delete his Tweet that said: “Sick and tired of activists and rebels using corpses of dead children to stage emotive scenes for Western consumption. Then they wonder why some serious journos are questioning part of the narrative”. In fact, this report notes, out of all the mainstream propaganda journalists operating in the West, only one could be found supporting the truth—who is a widely popular and viewed American conservative political commentator for Fox News named Tucker Carlson who’s being savagely attacked by the American shadow government “Deep State” for his questioning the accepted war narrative by correctly pointing out that no evidence exists for plunging his nation into war, and who further warned that a US bombing of Syria would lead to a Christian genocide there. This report concludes by noting the comments made by Chairwoman of the Council of Federation Matviyenko Valentina during today’s meeting wherein she expressed her doubts that President Trump is even fully supportive of starting World War III, and whom she believes is dealing with the most blatant coup attempt ever seen against an American president, and whose depths of are now seeing the disgraced former FBI Director James Comey, who kept Hillary Clinton from being jailed for her crimes, outrageously comparing Trump to a “mob boss”—while at the same time, Trump has destroyed the vile and powerful “Deep State” operative Speaker of the House Paul Ryan who just announced his “retirement”—and with Valentina’s views seeming to be supported by Trump himself who, nearly immediately after Ryan announced his “retirement”, Tweeted out that Moscow needed Washington’s help in its economy and suggesting they work together and end what he called an “arms race”. April 11, 2018 © EU and US all rights reserved. Permission to use this report in its entirety is granted under the condition it is linked back to its original source at WhatDoesItMean.Com. Freebase content licensed under CC-BY and GFDL.